Finishing up my National Garden Schemes tour we started out on one of our daily drives to a National Trust Estate. 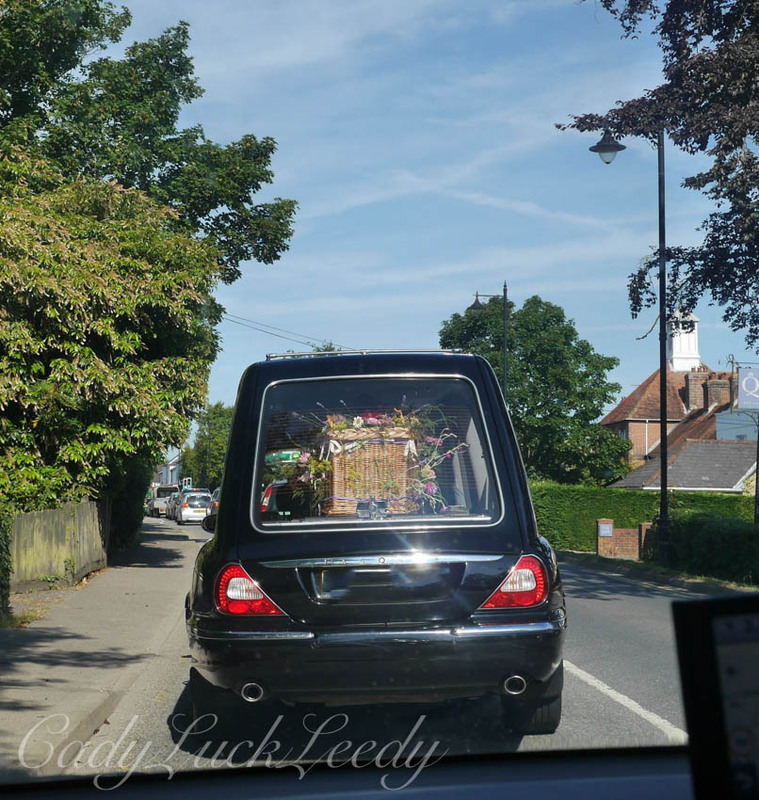 One morning we stopped in Hawkhurst, to let a hearse out of a driveway. Imagine our surprise when it stopped in front of us and the gentleman in the passenger seat got out. Dressed in top hat and tails he approached the side of the hearse, removed his hat, and bowed his head in prayer. 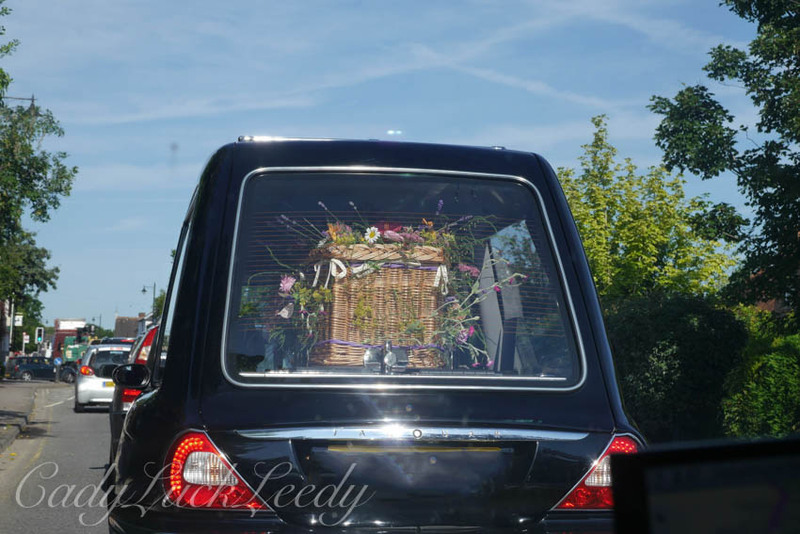 After a minute or so, he returned to the front seat and the hearse moved on in the slow traffic. 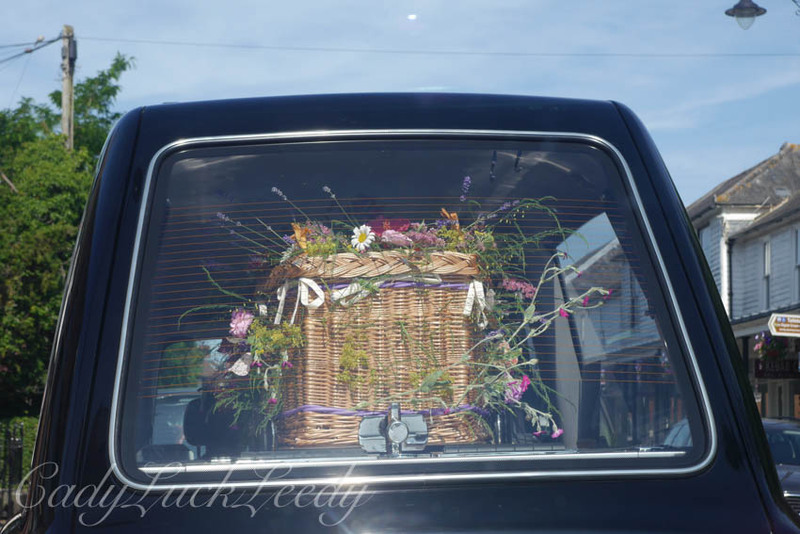 As we sat in our car watching this spectacle, I was surprised to see what looked like a picnic basket casket with flowers stuck into the sides. Was this the coffin of a gardener, I wondered? What a moving tribute that would be! When we asked our friends about this, we were told this was one of the new eco-friendly caskets. Another new take on caskets was the cardboard casket. I looked it up and here is one article you might want to read before settling on the eco-friendly casket. I had not ever heard of such a thing so researching ahead of time might be a good thing. An eco-friendly funeral does give one something to ponder. To each his own or as the french say, à chacun ses gouts! Rest in peace with that bit of garden with you! I thought it was lovely! Do you still live in Davidson? I travel a lot now. We thoroughly enjoyed all the gardens and estates this year! Planning a trip for next year now! We loved Kent and Sussex! I think it is such a waste of money and wood to use an expensive wooden casket, especially if you are being cremated. That one looks lovely with the flowers stuck in the sides. Not sure I could go for cardboard though. 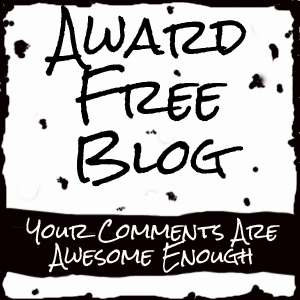 Annette, I think funerals and burials are such a waste of money! I too want to be cremated. If the cardboard will work, so be it. Just cremate me and sprinkle me in the garden! Done!